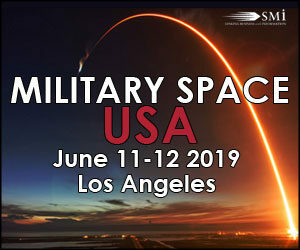 SMi Group, organizers of Global MilSatcom, are proud to present the Military Space USA conference and exhibition; convening in Los Angeles on June 11th and 12th 2019. 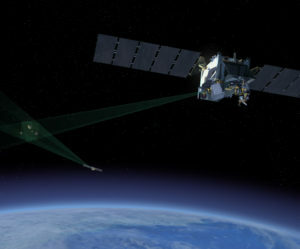 DoD wants space sensors that can be counted on to work even in adverse conditions like solar activity, radiation belts and orbital debris. 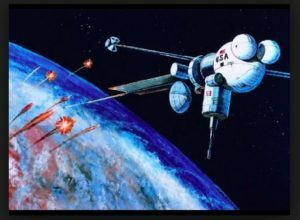 One of the surprises of the 2019 Missile Defense Review is that it did not cheer the use of weapons in space. 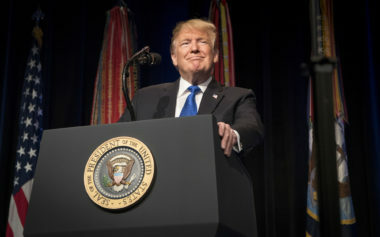 Trump: Space ultimately is “going to be a very big part of our defense and offense." Is Space Sensor Layer the Pentagon’s next major space program? 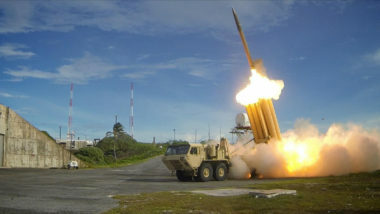 Defense officials have been sounding alarms about what they describe as a glaring national security vulnerability — a new class of ultrafast weapons being developed by China and Russia that would overpower U.S. missile defenses. 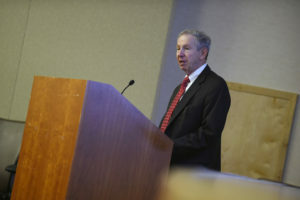 Undersecretary of Defense for Research and Engineering Michael Griffin said current defenses only work against ballistic missiles but not hypersonic gliders. “We can’t hit a target we cannot see coming." Outside the national security space community, few people grasp the breadth of activities and missions that might one day transition to a Space Force, if and when Congress votes to create one. The Pentagon's Joint Oversight Requirements Council will be briefed this fall on potential solutions to a major national security vulnerability: hypersonic weapons that fly into space at supersonic speeds and descend back down to Earth directly on top of targets. 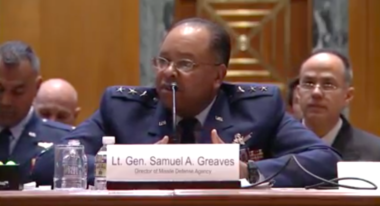 Griffin: Hypersonic defense is not a mission that can be done realistically from the ground or the oceans. These are uncertain times for many of the agencies and offices in the military-space-industrial landscape. 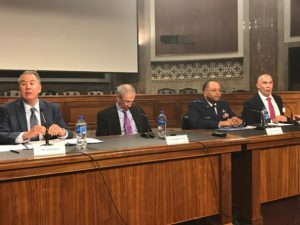 The Pentagon hopes to have funding approved possibly next year to begin work on a network of missile-watching satellites. 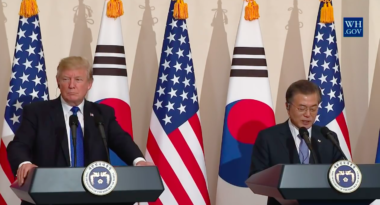 From 2000 to 2017, the U.S. government contracted more than $26 billion in foreign military sales to the Republic of Korea, including advanced combat aircraft and missile defense systems. 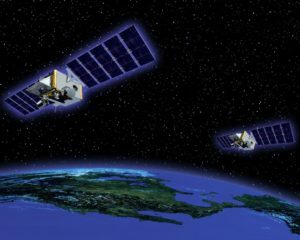 The utility of space sensors has been studied for decades so the Pentagon has plenty of data to draw from. 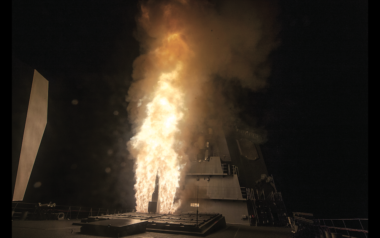 The hand-wringing continues at the Pentagon over how to respond to Chinese and Russian missile advances.